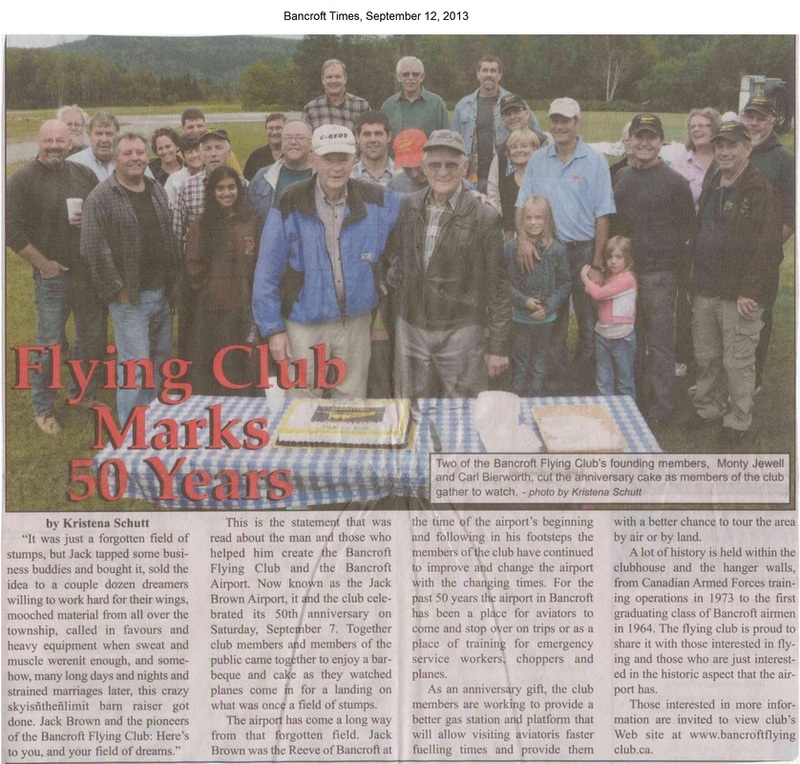 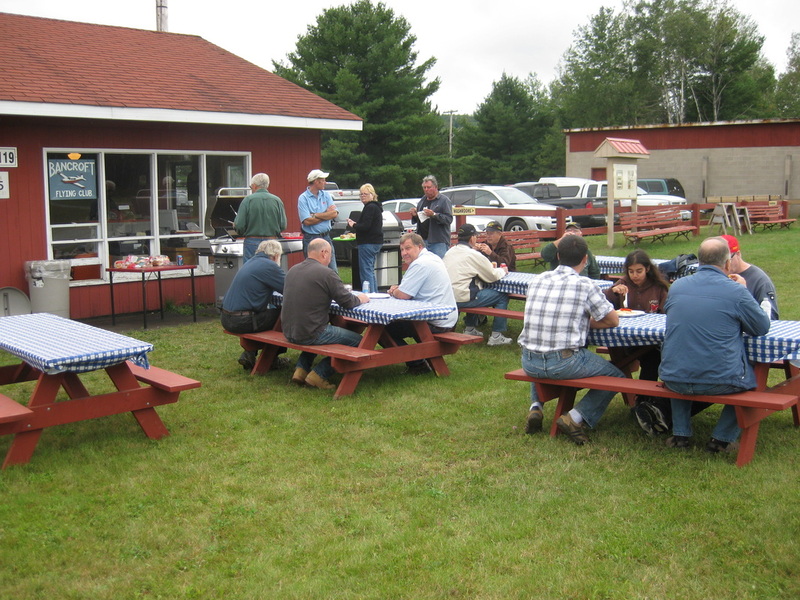 September 7, 2013 - Current and Past members of the Bancroft Flying Club celebrated the 50th anniversary of the Flying Club and the Bancroft Community Airport with a Bar B Que at the club. 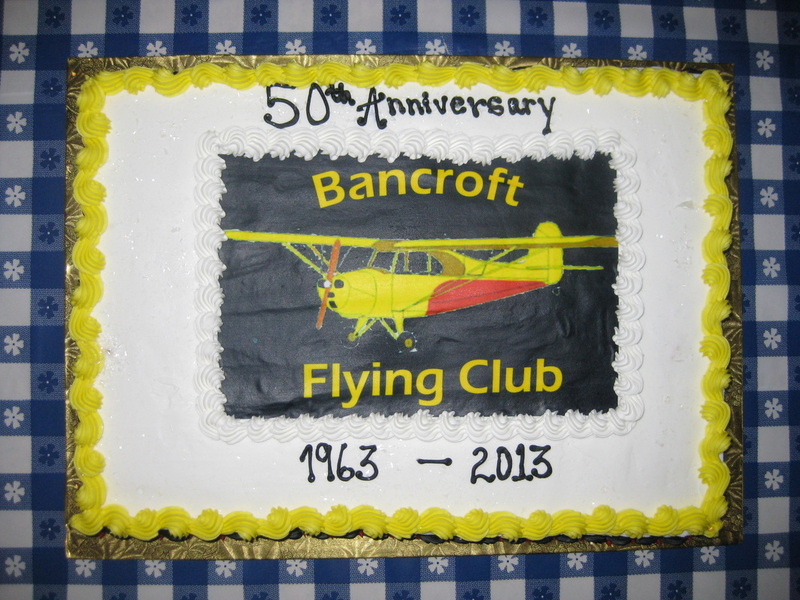 Members were honoured to have two of the clubs founding members (Monty Jewell and Carl Bierworth) join the festivities and did the honours by cutting the cake. 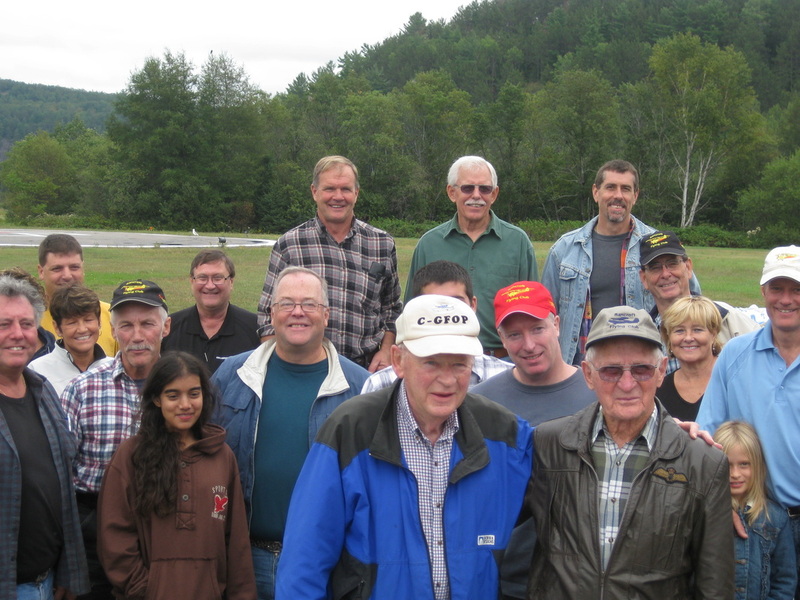 Member and Air Canada Jazz pilot Brian Shury and his two daughters flew in for the occasion in his perfectly restored Cessna 195. 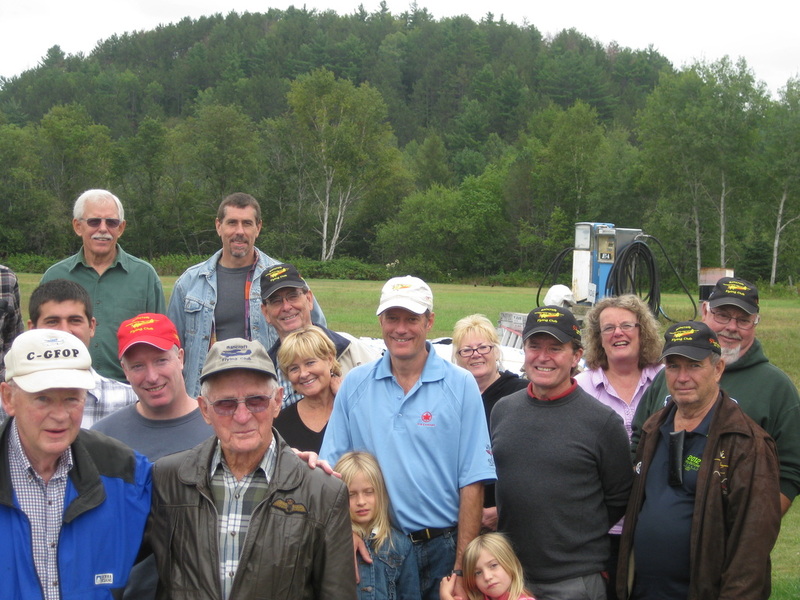 Past President Dave Compton and his wife were also there for the occasion. 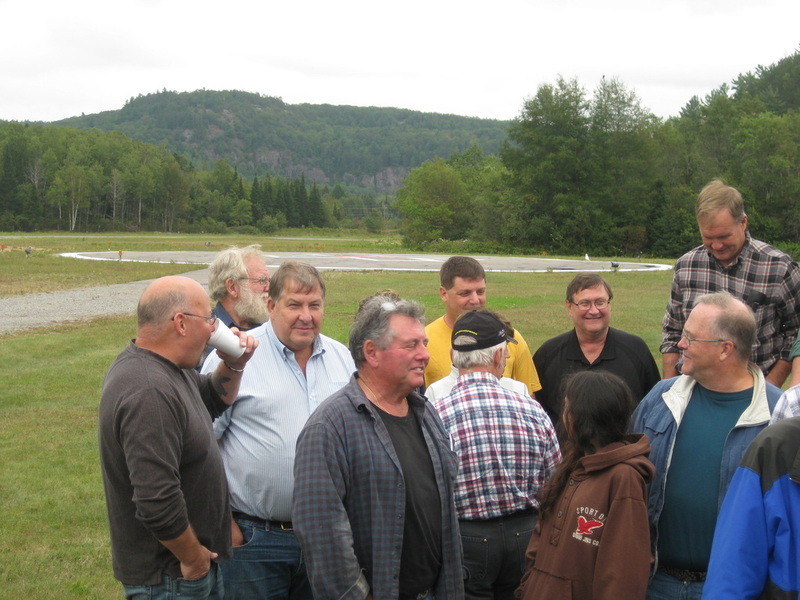 Bancroft Times reporter Kristena Schutt was present to record the event and take her first flight in an aircraft with member Arnie Tate. 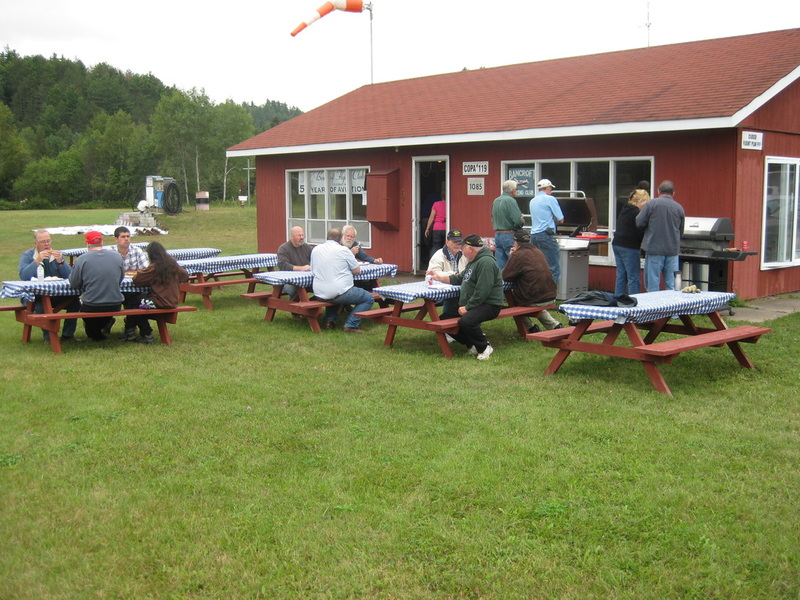 Bob Pearson served up burgers and sausage hot off the grill and was joined by members and spouses who lent a hand in preparing the spread for all to enjoy. 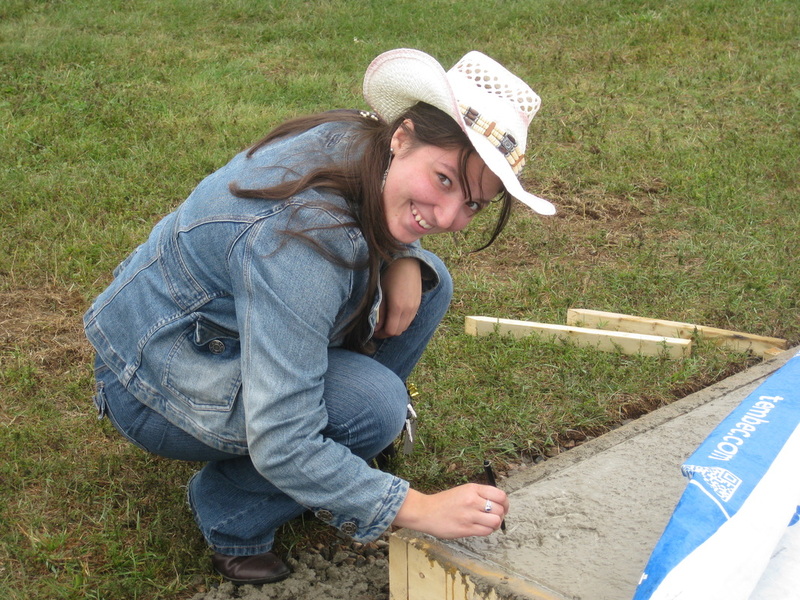 Bancroft Times reporter Kristena Schutt carves the clubs initials and date in the freshly poured cement that was put down that morning in preparation for the clubs new Jet fuel cabinet and pump. 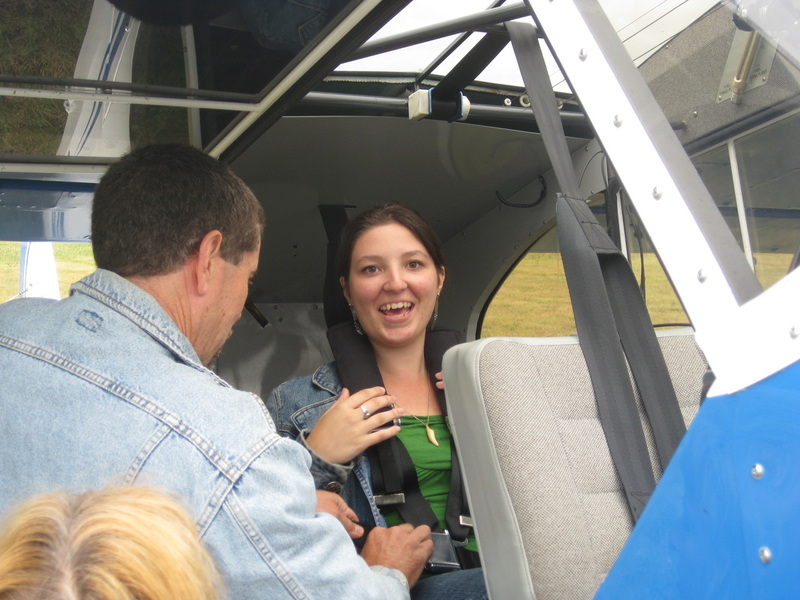 Member and former RCAF fighter pilot Arnie Tate straps Kristena in to his Super Cub in preparation for her first airplane ride. 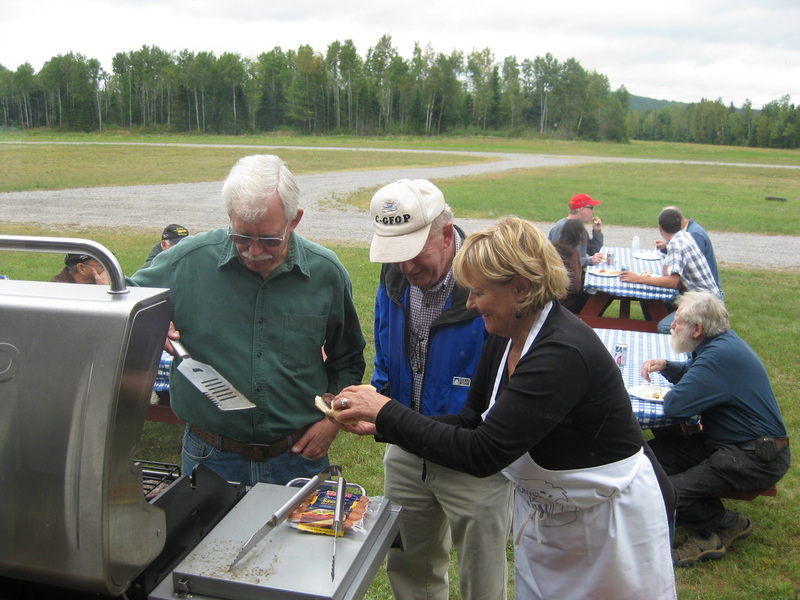 Member and Director Bob Pearson serving burgers hot off the grill. 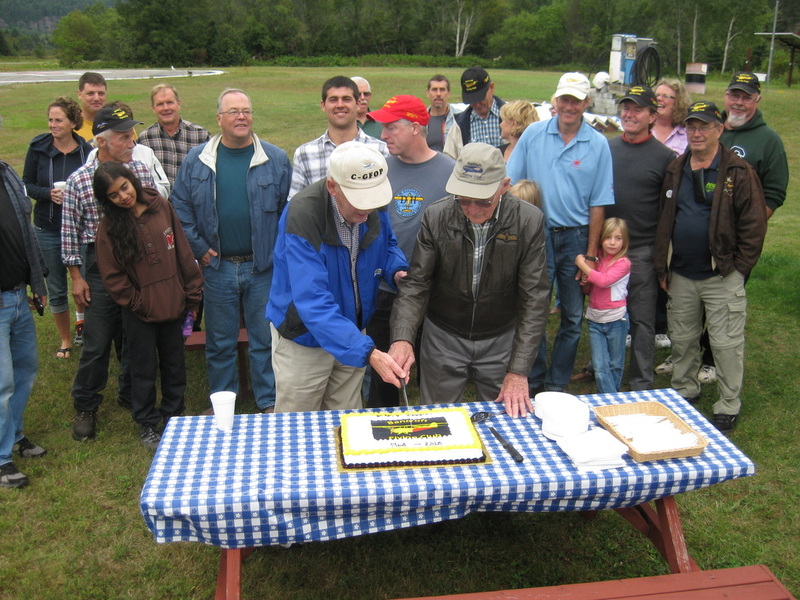 Members gather for cutting of the cake. 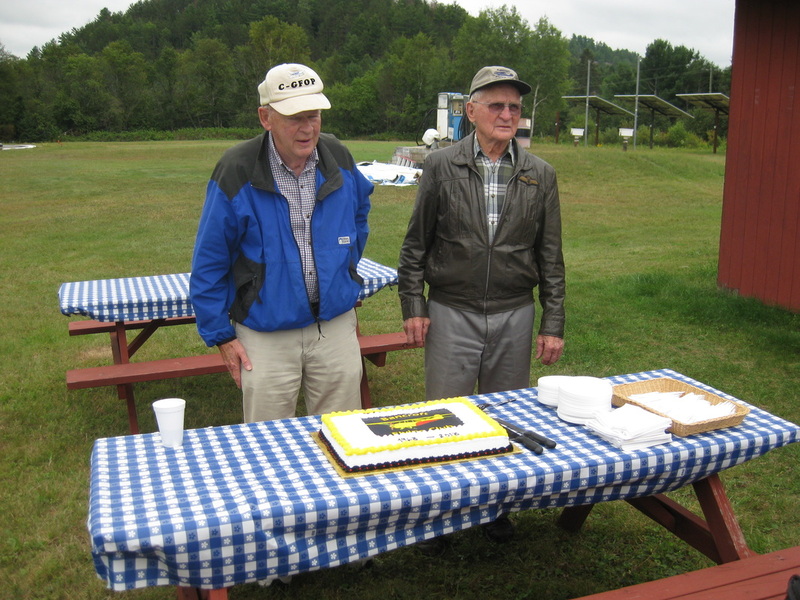 Founding members Monty Jewell (left) and Carl Bierworth (right) cut the cake.